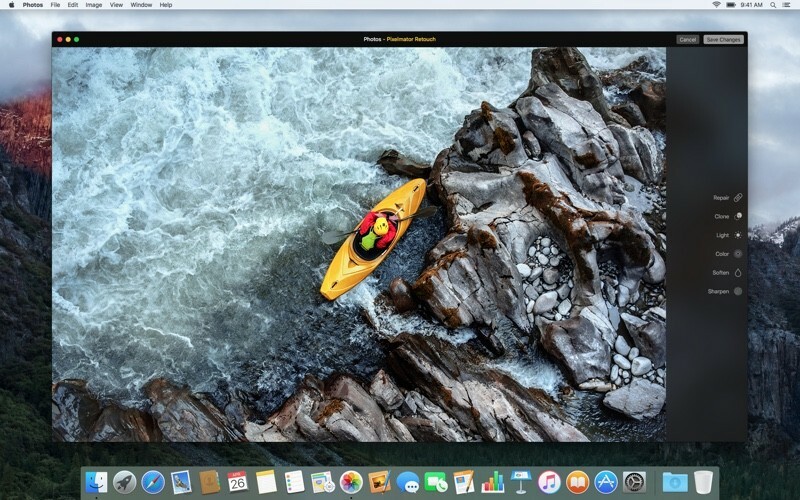 Popular image editing app Pixelmator was today updated to version 3.5, adding two impressive new tools to improve selections and a new Pixelmator Retouch extension for the Photos app. 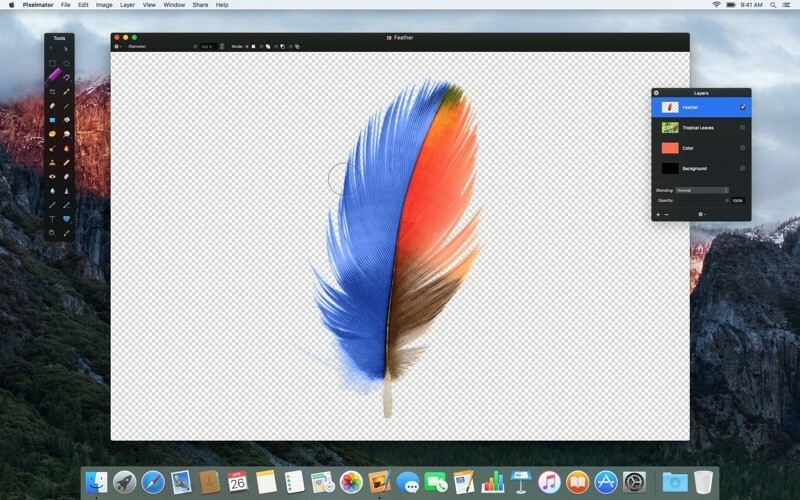 Pixelmator's new Quick Selection Tool, which is smarter than the existing tool, makes it much easier to select large areas of an image with a single brushstroke. The tool is designed to analyze color, texture, contrast, shadows, and highlights in an image to automatically detect an object that's being selected. "With the Quick Selection Tool, we wanted to create a totally unique experience for selecting objects," said Simonas Bastys, lead developer of the Pixelmator Team. "For more than 6 months, our team worked on developing a unique and incredibly smart algorithm, which used advanced machine-learning techniques to figure out for itself the best possible way to select objects. The results are stunning, and we're really happy to introduce this next-generation selection tool to all of our users." Alongside the Quick Selection Tool, a new Magnetic Selection Tool is designed to automatically snap to the edges of an object being traced, so a detailed selection can be made much more quickly. According to Pixelmator's developers, the algorithm behind Magnetic Selection is based on A* Pathfinding and ensures a perfect outline around nearly any object. 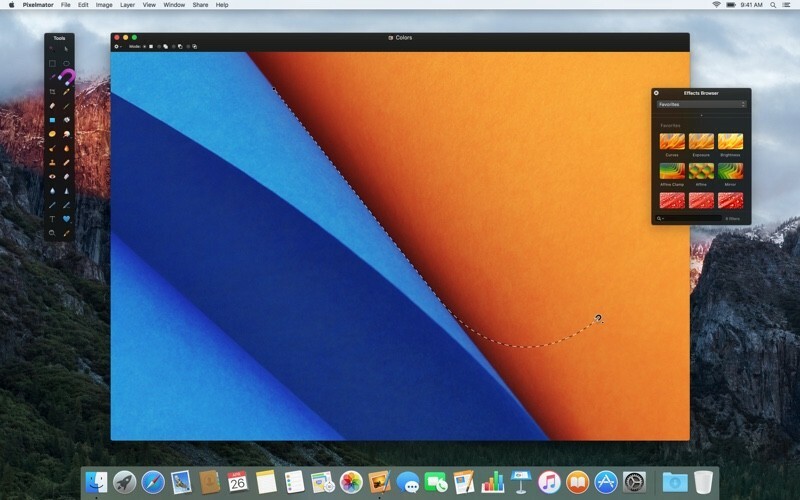 For the built-in Photos app on the Mac, there's a Pixelmator Retouch extension that adds a number of retouching tools that can be used directly in Photos. With the extension, it's possible to remove objects, clone areas, adjust lightness and saturation, sharpen details, and more. Pixelmator Retouch was built to take advantage of Metal, Apple's graphics processing technology, so edits can be done speedily. Other improvements in the new Pixelmator update include a new Stroke effect that's 15 times faster, improved Refine Selection performance, auto-adjusting brush size for the Distort extension, and content-aware outline smoothing for selections made via Color Selection, Paint Bucket, and Magic Eraser. A long list of bug fixes is also bundled into the release. Time for Apple to acquire Pixelmator + name change? Better not. The app will be killed/abandoned, the original team will soon leave, some of the washed down features might appear in some future Apple product (or not). Long time Adobe Suite user here wanting to shift to a non-subscription alternative. As I experiment with Pixelmator, I like it more and more. Projects are getting further and further along and thus, Adobe is getting opened less and less. Updates like this just adds value to an already great set of tools. What a bunch of great lads, unlike those blokes over at Parallels charging full price with every OS X release. Excellent. Pixelmator is the best app on the App Store. I always hear good things about this app, but never considered it because I have Photoshop for Mac. Today I finally took the plunge and bought it - couldn't be happier! Photos has really a potential if only they opened this up to third party plugins. Since they killed Aperture this should be a middle ground for both pros/enthusiasts and regular users. Just imagine Lightroom and Photoshop combination but cheaper and faster. They did. It's called Photos Extension. Pixelmator is one of those apps that supports it as said in the article. Does the new version (3.5) give you the option to use a Single Window instead of multiple floating windows on the desktop. Pixelmator with floating windows on the desktop. Single window mode of Affinity Photo. Single Window mode is a frequent request on the Pixelmator forums. I recommend Affinity Photo over Pixelmator. I've not used Pixelmator for the last new versions but I found the way it handles filters and effects confusing. Affinity photo is more like photoshop and with affinity designer and the soon to be released Affinity Publisher, it's becoming a more and more capable image manipulation suite of apps.